In this paper our first aim is to identify a large class of non-linear functions f(·) for which the IVP for the generalized Korteweg–de Vries equation does not have breathers or “small” breathers solutions. Also, we prove that all uniformly in time L1∩ H1 bounded solutions to KdV and related “small” perturbations must converge to zero, as time goes to infinity, locally in an increasing-in-time region of space of order t1/2 around any compact set in space. This set is included in the linearly dominated dispersive region x≪ t. Moreover, we prove this result independently of the well-known supercritical character of KdV scattering. In particular, no standing breather-like nor solitary wave structures exists in this particular regime. CM was partially supported by Fondecyt No. 1150202, Millennium Nucleus Center for Analysis of PDE NC130017, Fondo Basal CMM, and MathAmSud EEQUADD collaboration Math16-01. Part of this work was done while the first author was visiting Fields Institute (Toronto, Canada), as part of the “Focus Program on Nonlinear Dispersive Partial Differential Equations and Inverse Scattering”. We are indebted to M.A. Alejo for several interesting comments and remarks about a first version of this work. 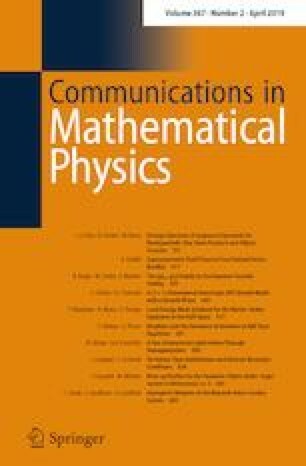 Muñoz, C., Poblete, F., Pozo, J.C.: Scattering in the energy space for Boussinesq equations. arXiv:1707.02616. To appear in Commun. Math. Phys.